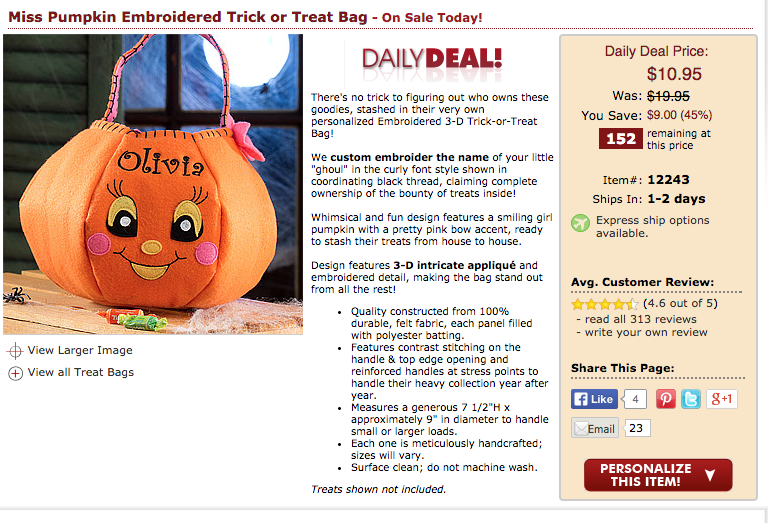 The Frugal Family Life: Personalized Halloween Bags ONLY $10.95! 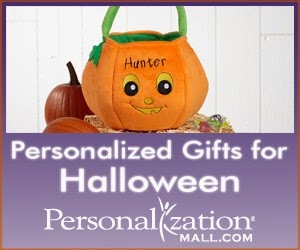 Halloween is right around the corner and I just came across these adorable little personalized Halloween bags! I know my girls would love to have one with their name on it! Aren't they cute? PersonalizationMall.com has these on Daily Deal today for just $10.95 (down from $19.95)! You can choose the Miss Pumpkin or the Mr. and can customize with whatever name you choose! As you can see in the picture below, the quality looks great. The reviews give them 4.6 out of 5 stars! Hurry, if you want one, they have limited stock!